To celebrate the launch of Converse' new Weatherized Collection, I along with 22 other bloggers were invited to tap into our creativity and create distinct looks revolving around the shoes, caps and jackets from the collection. I didn't know what to expect when I got there but I was pleasantly surprised at the new selection of shoes which had more of a distinct boot personality...perfect for these cold months. 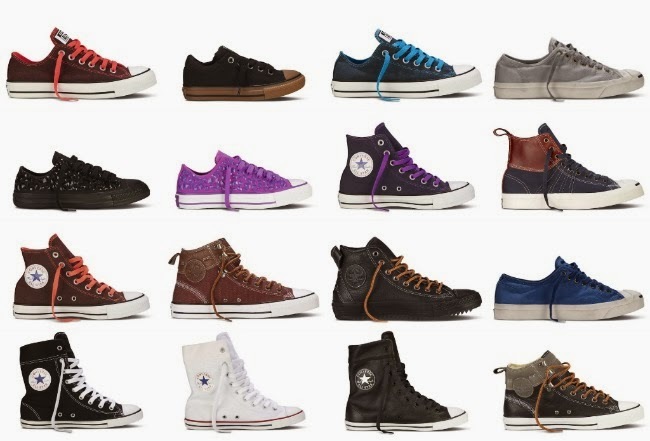 Although widely known for their Chuck Taylor's and Jack Purcell's, Converse has actually been in the boot business since the early 1900s. Footwear from the new Weatherized Collection is actually a marriage of the two - tried and tested leather boots plus the comfort and versatility of the Chuck Taylor and Jack Purcell sneaker lines. And here are some photos from the mini shoot we did. As luck would have it, I was struck with the flu minutes before and it was quite the struggle to go through with it. I was quite amazed and grateful that these photos turned out okay, I wasn't expecting them to look half as decent as how they turned out. I was feeling pretty (ugh) but I guess it's easy to look happy when you're surrounded by Converse merchandise! About the look: More than anything, cold weather always translates to me as cozy so I took to the mens section for inspiration. Wearing a Converse logo tee as a dress which I paired with this adorable athletic jacket, also from the mens section. To keep with my comfort theme, I finished off the look these new hi-cut leather chucks from the newly released Weatherized Collection. We all know Chucks go with everything but these are especially great because they combine the practicality and sturdiness of a boot with the comfort of Chucks. A++ for wet weather and travelling.